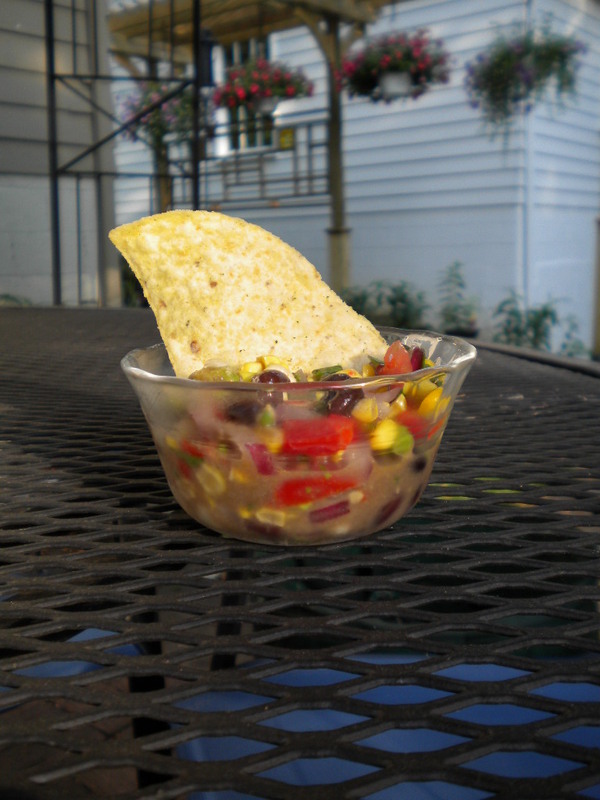 Tonight I thought I’d share the recipe for the salsa that I brought to the Memorial Day bash. I’ve made it several times this spring, and it’s just fun to mix fresh ingredients and spices for light fare. I know others of you make salsa from time to time and I’d love to hear some of your recipes, tricks, and tips too. At the last minute, chop up a couple of tomatoes and avocados (perhaps this is the secret ingredient that makes me like this salsa?) and add them to the rest of the veggies before tossing with the dressing. This makes a big batch, so you may want to cut it in half. I’m not a big fan of this salsa unless it’s fresh, which is the biggest negative of this recipe. It’s just not that great the next day – the fresh ingredients get soggy and it’s not attractive. I’ve also tossed it with bowtie pasta and served it as a pasta salad. This entry was posted in General on June 6, 2012 by theneighborboys. Delicious! Of course I love the cilantro version. Bethy loves the regular! I will make this soon! Thanks for posting this! I liked the cilantro version too, but I hadn’t thought about making it into a pasta salad. That sounds yummy – I might try that this weekend! I loved this dish. I am going to make it with the pasta. I love that it makes a lot for a crowd! This is a winner! Yea, making it with pasta in it makes you feel so good about yourself. What’s not to love about pasta and a ton of summertime veggies?